While this indeed has been a terrible month, I do want to say that life is still a most wondrous thing. Like the rest of the country, I am saddened and outraged by the unfolding horror story of the Maguindanao massacre, but there are also stories of triumph I will not ignore. 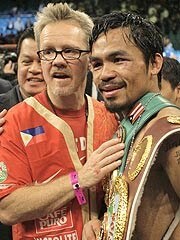 First, Manny Pacquiao made sports history--winning seven world titles in seven weight divisions. Sure, his triumph was tainted by allegations of an affair with a certain plain starlet (Manny, take notes from Brad Pitt--if you must leave your wife, make sure you're leaving her for someone spectacular. It doesn't make it less despicable but, as Angelina has smugly proved, it makes it almost reasonable), but Manny is now a true international supernova. I don't think anyone in the Philippines can claim that! Second, CNN honored Efren Penaflorida as their Hero of the Year. I voted for Efren, not because he was a fellow Filipino but because I truly believe in his work. As you may know about me, I came from a poor family but because my parents valued education, I've come a long, long way. 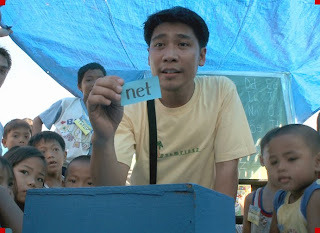 Efren brings the classroom to poor children. Not only does he teach them reading, writing and arithmetic, he also teaches them about hygiene. This is very important! I heard that Efren's really tough about cleanliness. Is that necessary? Yes! Keeping yourself clean and well groomed means you value yourself and the people you relate with. There can be no progress if there is no respect--for oneself and for others. So by teaching kids to be clean, he's taught them the most important thing of all: respect. Bravo, Efren! CNN also awarded Efren's efforts with USD 125,000. That's PHP 5.9 million! And he's pouring all of that money into his Dynamic Teen Company. I hope he can build a place with a roof and nice sturdy contemporary furniture. Because he operates out of a pushcart, rainy days, of which there are many in this tropical country, can be a big deal. But a school with walls, a roof and a library, oh, that would be heaven! 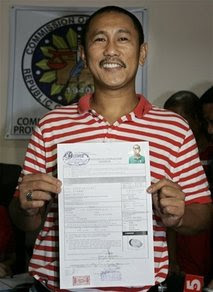 Third, Ismael Mangudadatu, whose wife and relatives were the main focus of the barbaric attack last Monday, today filed for candidacy for the gubernatorial position that had cost him grievous loss. He had been threatened in the most unimaginable way for pursuing this post and, instead of fleeing for his life, he continues to bravely oppose the Ampatuan clan, current rulers of Maguindanao and believed to be the masterminds of the massacre. Today, he rode down that same road where 57 innocent people, which included his family, journalists and travelers, were butchered just four days ago. It was lined by people, their fists clenched and raised in support and defiance. Ismael was encouraged and said, "I hope this will be the start of our liberation." The Maguindanao tragedy may have diminished us all but because of Manny, Efren, Ismael and the rest of us who still toil on to make this earth a better place, hope springs eternal. And life will still be a cause for celebration. Mabuhay ang Pilipino! Unfortunately for GMA, sampal sa kanya yung pagkaka-award ng Hero of the Year kay Efren because it just shows may pagka-inutil ang administrasyon nya over the problem of education. This is a great post, Frances. Took away my hopelessness over the issue. I got distracted for a while, eyes got blurred from all the ugliness of what had happened. Nakakaiyak sa frustration. But ultimately God is still in control. Let us continue to pray for our country. And I now say with you, "MABUHAY ANG PILIPINO!" Well, Glaiza, I don't really know what you're talking about. I was educated in government schools since I was 13 and I turned out okay. Jen, yes, we have to keep praying that God will deliver us from evil! And just thank Him for all the goodness that is still in this sad world.